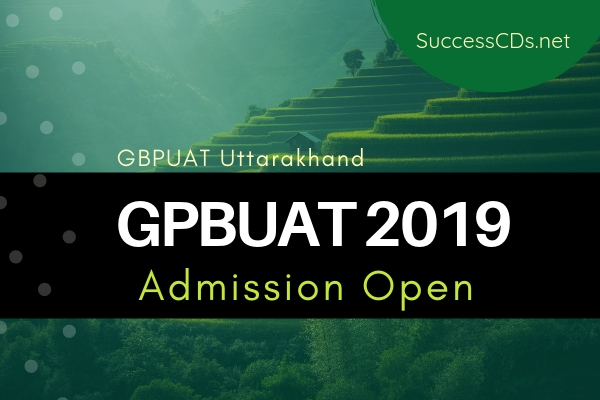 GB Pant University of Agriculture and Technology Admission 2019 - Applications are invited by GB Pant University of Agriculture and Technology Entrance exam for admission to Undergraduate, PG, MCA (except M.Tech) and PhD program of the University for the session 2019. Should have appeared and qualified for JEE Main 2019. Admissions will be solely done on this basis. Should have appeared and qualified for the CAT and CMAT score and GD and an interview conducted by the university. GATE qualifying marks in the subject (Major) in which admission is sought will be considered, then BTech merit marks. For other State candidates, ICAR entrance test marks will be considered. GBPUAT will be conducting a university level entrance exam. Interested candidates should clear this exam.